GreenSpot was inspired by people like you. People who looked to the City of Columbus for answers to some important questions. Like, what exactly does green mean? How can I get green? How does being green impact our city? 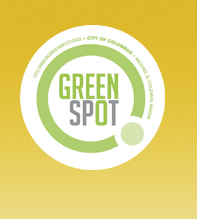 That's why Columbus Mayor Michael B. Coleman founded GreenSpot. It's the place where people in our city go to learn about living and working greener, and commit to doing it—in their homes, businesses, and communities. Palmer Builders is taking the first step to making your home or business part of a cleaner, healthier, more sustainable Columbus. Talk with Palmer Builders today about your next remodeling project and how you can make a difference being green.